This icebreaker became famous as the first Soviet drifting ice station. In 1929 icebreaker Sedov went on the "High-latitude Government Expedition" to Franz-Josef Land carrying Soviet scientists. In the summer of 1937 icebreaker Sadko sailed from Murmansk. Its original goal was to sail to Henrietta, Zhokhow and Jeanette Islands, in the De Long group and carry out scientific research. 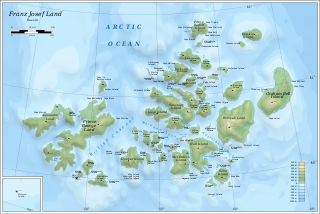 The purpose of the expedition was to find out if the Northern Sea Route could be used for regular shipping and to explore the complex Nordenskiöld Archipelago. The Soviet naval authorities changed the plans and the ice-breaker was sent instead to help ships in distress in the Kara and Laptev Seas. The Sadko became trapped in fast ice at 75°17'N and 132°28'E in the region of the New Siberian Islands. Another two Soviet icebreakers, the Sedov and the Malygin which were in the same area researching the ice conditions, became trapped by sea ice as well and drifted helplessly. Owing to persistent bad weather conditions, part of the stranded crew and some of the scientists could only be rescued in April 1938. Only on August 28, 1938, could ice-breaker "Yermak" free two of the three ships at 83°4'N and 138°22'E. The third ship, the Sedov, had to be left to drift in the ice and was transformed into a scientific polar station. The Sedov kept drifting northwards in the ice towards the Pole, very much like Fridtjof Nansen's Fram had done in 1893-96. There were 15 crew aboard, led by Captain Konstantin Badygin and W. Kh. Buinitzki. The scientists aboard took 415 astronomical measurements, 78 electromagnetic observations, as well as 38 depth measurements by drilling the thick polar ice during their 812-day stay aboard the Sedov. They were freed between Greenland and Svalbard by the icebreaker Joseph Stalin, the biggest icebreaker of the Soviet fleet at that time, on January 18, 1940. MV Akademik Shokalskiy is an Akademik Shuleykin-class ice-strengthened ship, built in Finland in 1982 and originally used for oceanographic research. In 1998 she was fully refurbished to serve as a research ship for Arctic and Antarctic work; she is used also for expedition cruising. She is named after the Russian oceanographer Yuly Shokalsky.